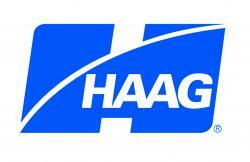 Haag Engineering Co. started as a damage and failure consulting company in 1924. Today, Haag is a multi-faceted forensic engineering and consulting firm with locations across the United States. We offer forensic engineering, research and testing, construction consulting, 3D laser scanning and modeling services, GIS, and educational seminars, products, and tools. Our growth results directly from our long-standing commitment to quality while expanding our technical knowledge and services. Haag has built a reputation for excellence through the efforts of past and present personnel, and we are proud to continue that tradition today.